Stallion Moving Services is your number one choice for a residential and commercial moving company in Parker, Colorado. Our award-winning home and office moving services and amazing customer service have been highly acclaimed throughout our company’s lifetime. Not only our moving services, but our packing services as well. We are a full-service office and home moving company with a passion for helping out Colorado residents looking to move homes or offices. We have quickly become one of the best and most acclaimed residential moving companies in Parker, Colorado since the start of our residential moving company. We have worked hard to maintain the highest standard for our moving services, and we believe we have been able to achieve that. Call or email us today. 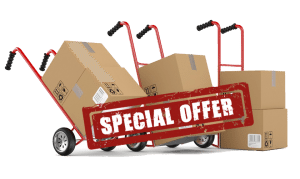 We can offer you a free local moving quote, and talk to you about how our office, house, and apartment moving services would be right for you. Stallion Moving Services can help you with moving long distance for a fraction of the price you would spend using large moving companies. Our moving company give you long distance moving with our professional packing, loading, and unloading moving services. Save money on your long distance move by using our packing and moving services to pack and load your furniture into your moving truck. Stallion Moving Services offers piano moving service for Colorado residents needing to move their organ or piano. Our piano movers are prompt, cautious, and take care of your piano like it’s their own. Parker, one of the most populated cities in Douglas county, is a great place to live.It is best known for its great-looking homes, and quiet neighborhoods. Parker is considered a commuter town for having its residents live there, but work at other places of Colorado. Stallion is one of the leading moving companies in Parker, Colorado. We have helped many, many families relocate to or from Parker, Colorado with our award winning moving services. We offer a wide variety of moving services. We are a full-service moving company. You can get all your moving-related tasks done with just one call to our moving company. Need wrapping? No problem! Need a piano delivered? We can do that too. Our moving company can form to fit the needs of your specific moving needs. No other company has as much robust moving services as we do. We are fully customizable with our services as we let you get exactly what you need for your move. Whether it be a home or office moving, or small moves or long distance moving. Parker, Colorado is also a great place for all things outdoors. There’s many things to do here all year-round whether you enjoy the sun or the snow. While Parker may not be able to top Aspen or Colorado Springs when it comes to the outdoors, Parker still has a lot of things to offer for activities. The Cherry Creek Trail sprawls across Parker from the south and North. Whether you are a biker, hiker, or just enjoy walking outdoors during a sunset, this trail gives you a great view and reason to get outdoors. The team sent by Stallion Moving Services was very good. They were professional, worked hard, and protected our furniture. We moved locally in Parker, Colorado and were really impressed. They didn't break any of our furniture, and were great with the pets. Definitely recommended.